The majority of knitting books are not only a great pleasure to "dig" through their pages, but at the same time they are an excellent source of new ideas and inspiration for our knitting projects, a good way to refresh your memory about forgotten techniques and patterns or to solve some knitting problem. What are our expectations about good book about knitting ? First of all it has to answer the question HOW can I..? And the answers have to be found fast and easy. These are the ideas which I followed to choose the best books presented on this page. Hope this information will help you to find your own favorite among them. There are a lot of knitting techniques and a lot of talented people who bring us their experiences and knowledge. We have many good books available to choose from. It is only the very beginning of the list. You will find many more of them added as this site grows. The book is divided into three major sections: 1. History of knitting and other basics information. 2. Different knitting projects. 3.Knitting patterns gallery. It shows a variety of techniques from basics to advanced. Comprehensive presentation and first rate photos and stitch charts. Detailed information on the abbreviations and chart symbols used in knitting patterns. The stitch patterns library certainly worth attention of any level knitters. A definite must have for your needlework library. It will become one of your favorite books and will assist you in improving knitting skills and knowledge for years to come. Vogue® Knitting The Ultimate Knitting Book: absolutely the best! If you get them out of the library, or purchase your own copy for your own, you'll enjoy the great pictures and instructions. Have you got a favorite book that you rely on completely? Contact me and let me know why. 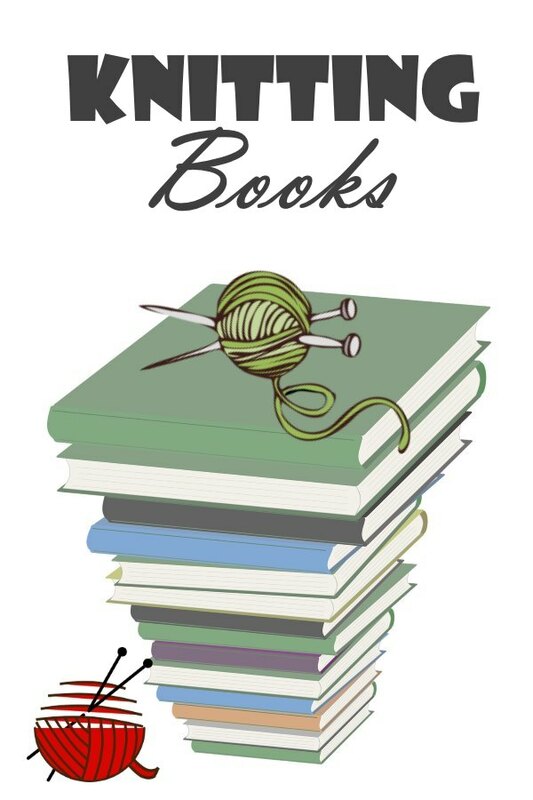 Information about crochet books can be found on the Crochet Books page.